Alligator bags and boots go in and out of style, but alligator socks are forever. 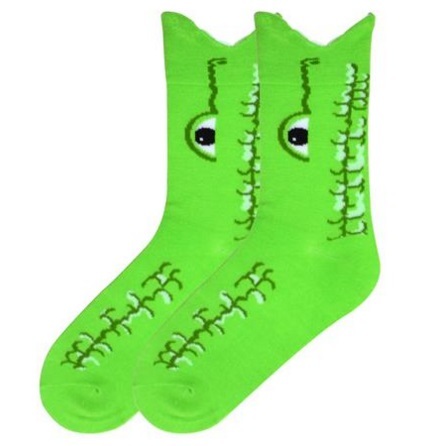 Choosing which socks to wear is a snap when you have Wide Mouth Alligator Socks. They lie there in your sock drawer, waiting, watching. Then, when the moment is right, their bright green color pops out and you fall prey to their overwhelmingly powerful cuteness. Before you know it, they’ll be lurking in your shoes, peeking out from under your pant leg, just waiting to surprise passersby with an unexpected laugh. 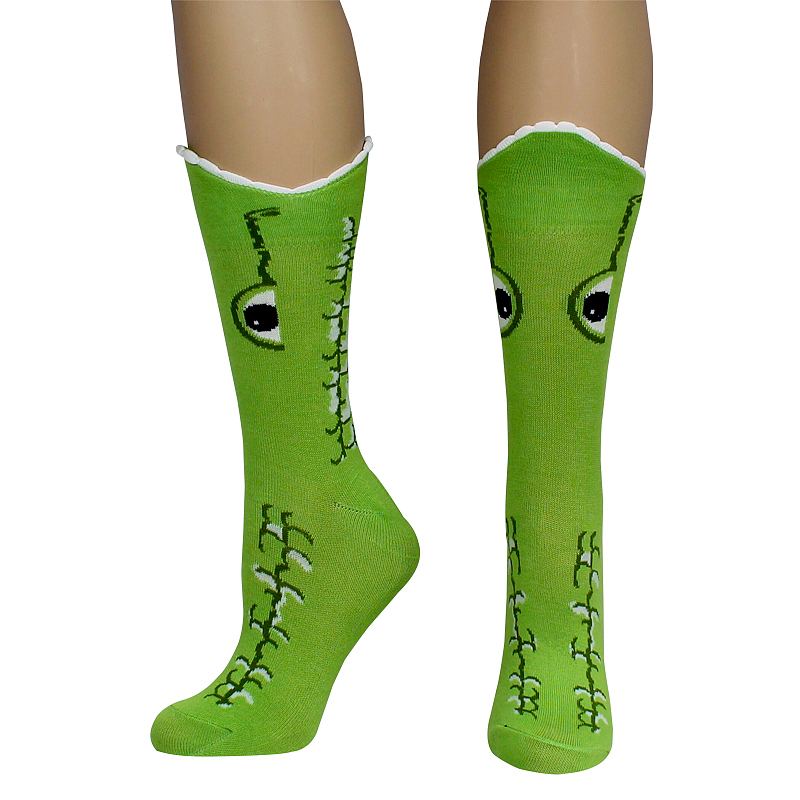 Wide Mouth Alligator Socks are made from a 72% Acrylic, 25% Polyester, and 3% Spandex blend.